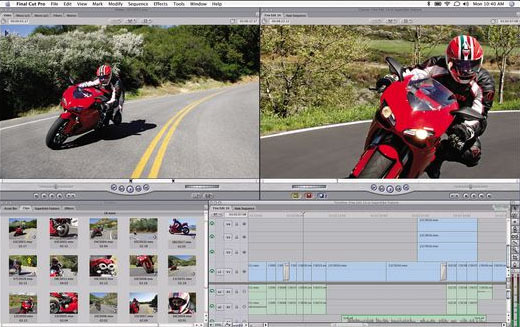 Final Cut Studio 2 helps take you beyond mere editing. Discover the intuitive power of new creative tools designed expressly for Final Cut Pro editors. Rapidly move through editing to motion graphics, audio editing and mixing, color grading, and delivery - all as a natural extension of the work you already do. Final Cut Studio 2 puts a powerful new version of Final Cut Pro at the center of an integrated post-production workflow. Final Cut Pro 6, Motion 3, Soundtrack Pro 2, Compressor 3, DVD Studio Pro 4, and Color - a brand-new application for professional color grading - are all included in Final Cut Studio. The definitive video editing software has arrived on the Mac which includes Final Cut Pro 6, Motion 3, Soundtrack Pro 2, Compressor 3, DVD Studio 4 and Color in Final Cut Studio 2. Since its humble beginnings in 1998, this powerful software package series has been used by a variety of people, even movie studios to create epics such as 300 and Jarhead. Needless to say, the Final Cut family of software is one of the most powerful commercially available software packages available which can be used by a variety of users to achieve stunning end results. The installation of Final Cut Studio 2 was pure bliss and simply auto-installed with minimal promoting and no hassles whatsoever. It should be noted that Final Cut Studio 2 requires a rather powerful system to run this suite at its intended potential and the minimum requirement is 1.25GHz Mac with OS 10.4.9 and 1GB of RAM. This of course is the bare minimum which we would not recommend due to the power needed to manipulate a variety sort of files. The application will also run on both PowerPC and Intel based processors, increasing compatibility across the board. It should be noted that some of the applications of this suite do require a rather powerful processor with a decent size of memory, both RAM and hard drive space (60GB for all programs, templates and tutorials). In the graphics department, you'll need a powerful graphics card to fully maximize the program. Lastly, if you install the entire application, it is a lengthy process so make sure you have plenty of time available. The main application of this suite is Final Cut Pro 6 which has been tweaked from earlier incarnations with a self-explanatory interface which expands the WYSIWYG algorithm by offering simplicity with professionalism. Even though some inexperienced users may be out of their depth, the suite contains some great tutorials and (printed) manuals to assist with every aspect of creative design. Final Cut Pro 6 also offers the user to transfer between a variety of file formats, including powerful codec's. The program supports a variety of standard formats which include DV, DVCPRO HD, HDV and XDCAM HD to name some of the formats available. At the end of day, the program has most of the formats needed. As high definition video editing becomes more popular and available to more consumers, Apple have introduced ProRes 422 which allows users to edit high definition videos without the need for high-end hard drives, although having one of these is a bonus for this software package. In laymen's terms, its basically editing high definition videos which take up quite a large amount of hard drive space but uses a reduced amount of storage space. Probably one of the most impressive new features of Final Cut Studio 2 is the Open Format Timeline which allows users to join a variety of different video formats even if they have different frame rates. The application allows you to basically drag the relevant video file into your timeline with extreme ease. Mix and match different video formats and frame rates in the same timeline — all without rendering. Take advantage of ProRes 422, a new post-production format from Apple that delivers uncompressed HD quality at SD file sizes. Work with Motion templates without ever leaving Final Cut Pro — edit text, replace video, and swap out still images. Smooth out shaky shots while preserving standard camera moves using integrated SmoothCam technology. Colour is another powerful utility which allows the user to adjust a wide variety of colour options of their files which include modifications to gamma, RGB and luma curves to name a few of impressive features. For those users a little unsure of this aspect of Final Cut Studio 2, it offers over 40 different special effects from Film Grain to Noise reduction which makes colour based corrections a truly simple process. Best of all, the pre-existing templates can also be modified to give you a true holistic approach to your creations. Work with comprehensive tools for primary and secondary adjustments, color effects, and geometry changes. Combine settings to create signature looks that you can save and reuse later. Start with the built-in library or create your own looks from scratch. Choose from more than 35 built-in color effects to add visual interest and special color transformations. 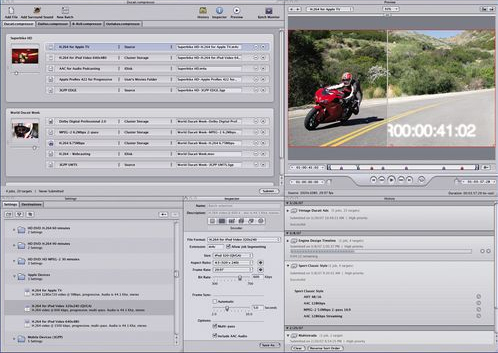 "Motion 3" goes beyond its predecessor through the power of real-time tools and improved existing functionality. Tools such as Match Moving (follow the path of an animated object) or Retiming Behaviors gives the user the power to create a variety of timing effects, making your movies a truly Hollywood-esq experience. Add in the ability to monitor animations which respond to the soundtrack is an impressive tool which can create some outstanding creations. For those users who may have shaky video footage may be saved by this program which through SmoothCam technology assists in stabilizing the sharp movements of the footage. Motion 3 is probably the most complex application contained in this package due to the 3D dynamics of animation, however if you can master this program, your end results will be quite impressive. Animate in 3D using drag-and-drop behaviors, 3D particles, and replicators, then adjust settings on the fly — while your video continues to play. Match movement and track objects with simple tools that take the guesswork out of compositing tasks. Design painterly elements using customizable brushes and strokes. Soundtrack Pro returns in Final Cut Studio 2 allows users to edit their audio files in order to create a variety of audio options for both audio and video files. Match that with true surround sound mixing with 5.1 channels or standard stereo, a plethora of different plug-ins and 1000's of music tracks, there is definitely a sound and tune for every project. The spectrum view in Soundtrack Pro is great for editing audio and match that with the timecode HUD which lets you keep tracking of the runtime. Apple have included a Conform feature that makes syncing between audio and video, an almost flawless experience thanks to the various graphical views. Even better, there are over 2000 royalty free sound effects. Definitely a must have for film makers of all sorts of levels. Work faster than ever with a streamlined interface and new professional tools designed for audio post. Create cinematic soundtracks using 5.1 surround tools and effects. Enjoy the industry’s first sound-and-picture change management tools. Compressor 3 allows users to create a wide variety of different video formats suitable for iPods, the internet and DVD. This program is extremely easy to use and easily manipulates your video files, Compressor 3 is a very powerful program and ironically is used by Apple on their iTunes store. This aspect of the suite also allows for the user to add a variety of filters, even some great watermark effects. We tested this product on a variety of iPod movies which rendered these files quite fast with high quality results. Work with H.264 encoding presets optimized for iPod and Apple TV. Output high-bit-rate video for HD DVD and Blu-ray media preparation. Enjoy greater creative control over your audio with filters and support for AC-3 and MP3 files. 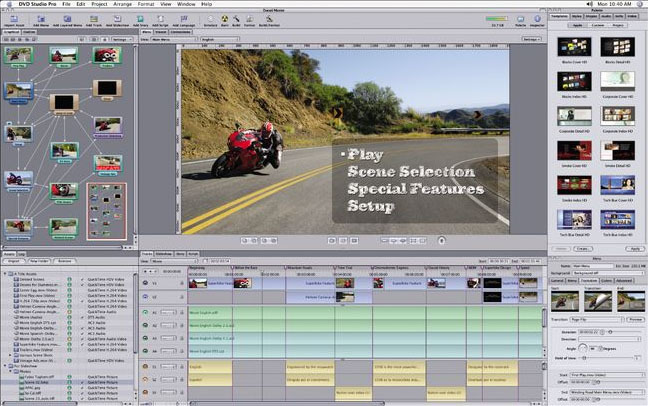 DVD Studio Pro 2 is a great DVD Authoring Software package that not only allows to create DVD's but create DVD's with a plethora of options such as time-line style views, multiple tracks and a variety of different templates. The program is also quite intuitive and easy to use and truly gives you some professional end results. We created a professional looking DVD in about 60 minutes with great menus and options. 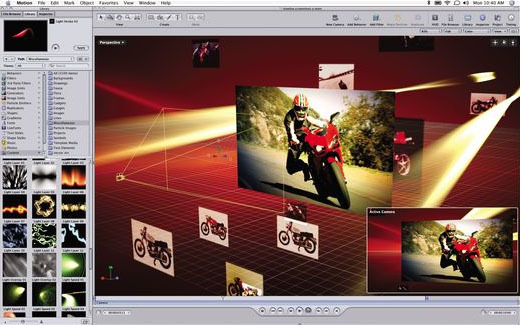 Create SD and HD projects easily using the flexible, intuitive interface. Author discs with interactive elements and useful navigation controls. Create animated menus with Motion. In conclusion, Final Cut Studio 2 retails for a recommend retail price of $1595AUD and is worth every penny. 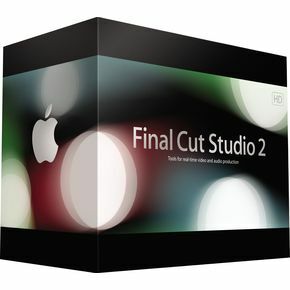 For those who the original Final Cut Studio, an upgrade version is available for $825AUD which is a worthy upgrade. In the end, Apple have a winner on their hand with this powerful creative software suite that allows you to perform almost any creative design that is limited by only your imagination. Even if your imagination is lacking, this software suite will inspire you to find your hidden muse.